It’s been a while since I last posted on the idea of Venus settlement, but the idea came up again on Twitter recently, and it got me thinking about several of the challenges that still need to be resolved to make it a reality. On the technical side, the big ones are still: a) can we extract enough water or hydrogen from the atmosphere to serve as a feedstock for life support needs and plastic production for the habitats, b) can we find a fully-reusable, robust/fault-tolerant way of traveling between cloud cities and orbital facilities, and c) can we realistically get from ISRU feedstocks to practical cloud colony materials that provide the needed functionality while being compatible with the still somewhat harsh environment in the Venusian atmosphere. But as interesting as those questions are, the question of why someone would want to settle the atmosphere of Venus is probably even more fundamental.1 You’re probably wondering what this has to do with cameras, but I’ll get back to that in a bit. First I want to talk about the economics of settlement. I’m not trying to do a detailed treatise on space settlement economics in this short blog post, but I did want to touch on a few ideas I’ve had on the topic. First, regardless of how good you get at ISRU, you’re almost certainly going to need to import at least some materials. Even if you can get all of your life support materials, and most of your construction materials from the Venusian atmosphere (the Massive, Unitary, and Simple part of Peter Kokh’s MUScle framework for ISRU), you’re still likely going to be importing electronics and complex equipment for a long time (the complex, lightweight, and expensive parts of the MUScle framework), and until you can get surface mining capabilities, you’ll likely need to import metals, and any biomass items that you can’t get from the atmosphere. If you’re importing stuff from Earth, this implies the need to provide something in return. Now, I don’t want to get into all the complexities of real world trade economics, just suffice it to say a Venus settlement will most likely need at least a few economic drivers. Extraction of fusion fuels (Deuterium and maybe Helium-3) from the atmosphere. I could go into it in more detail later, but the first concept is based on the fact that Venus has a Deuterium to Hydrogen ratio that’s over 100x higher than exists on earth. We don’t have fusion reactors yet, but Deuterium is likely to be important, and while we can get some form seawater, if interplanetary transportation became cheap enough, it might be possible to profitably extract Deuterium from the Venusian atmosphere and ship it back to Earth and other places that need it. This seems a lot simpler than concepts of strip mining vast regions of the lunar surface for Helium-3. Speaking of Helium-3, I wasn’t able to find any data on the Helium-3/Helium-4 ratio in Venus’s atmosphere. The Helium concentration on Venus is about 2x that of Earth, but I’m not sure whether we ought to expect it to be concentrated with He-3 (implanted from the solar wind?) or depleted in Helium-3 (since it is light enough to be lost to space like most of Venus’s hydrogen) relative to Earth. If it turns out the He-3/He-4 ratio is enhanced relative to Earth, that could also provide a potential export, and would likely be a lot easier to implement than most lunar He-3 extraction concepts (while also being a lot easier to reach than the outer gas giants). But really any resource play doesn’t necessarily require a lot of people. It might actually be possible to get some of those materials via orbital atmospheric mining without ever coming down from orbit. Tourism definitely kind of requires people to be there. That’s kind of the point. And those customers will require people to run the experience. Venus tourism would still involve much longer trips than lunar or LEO orbital tourism, which will likely make it more like going on safari during the 19th century than going to Disneyland. But still, it could be a legitimate economic driver. Lastly, settlement itself can be an economic driver if people want to immigrate to a place. If people want to move some place to live or retire, they bring their wealth with them, effectively importing or investing that wealth in the Venusian economy in a way that can be used to pay for imports from Earth. But those last two items strongly depend on something most engineers don’t think much about–the aesthetics of the place. And that’s where cameras come in. While Russia did manage to send a pair of balloons to explore the region of the atmosphere we’re interested in, as part of the Vega 1 and 2 missions, neither of those balloons had a camera on board. Some of the landers had cameras, but as far as I can tell, neither balloon had one. They had atmospheric sensors and photometers and a few other sensors, but nothing that could show you what it really looked like inside the cloud layer of Venus. And frankly, when it comes to tourism and settlement, I wouldn’t be surprised if the look and feel of that region of the Venus atmosphere matters a lot. 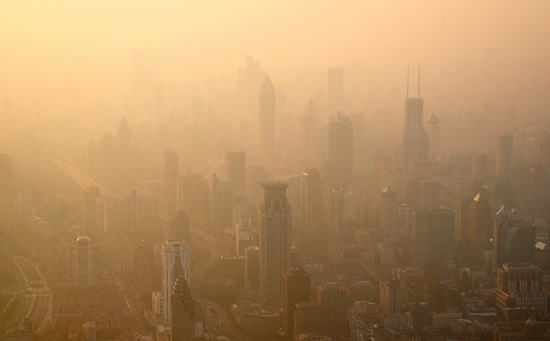 or are we talking more like a Beijing smogfest? You may think this is a trivial matter, but I think it probably matters a lot. It’s one thing to go to a flying city with breathtaking views and stunning vistas. It’s another to be flying around in pea soup smog so thick that you may as well not even have windows2. So, this is why I hope we see some balloons visiting the atmosphere of Venus again sometime soon, and this time, I hope they bring cameras. I’m keeping my fingers crossed that the view is amazing. And frankly it’s usually one of the first question people ask once you’ve shared enough technical details to get them to stop laughing about the feasibility of settling Venus. This entry was posted in Random Thoughts, Space Settlement, Venus. Bookmark the permalink. The base will have some flexibility in altitude, and I’m guessing that even a small difference will have a substantial difference that can be exploited by tourist vessels. A happy thought is that volcanic activity is supposed to create beautiful sunsets ( some beautiful ones in my part of the world were reported as the result of volcanic activity in Indonesia) because the volcano is basically chucking sulphur dioxide into the atmosphere. A sad thought though; the lack of a decent magnetosphere means no aurora borealis/australis, correct? Will the Maxwell Montes be visible from habitable heights? If so, some tourism would simply be looking *down*, similar to a tourist boat in a coral reef. If the mountains are covered in metallic snow, then sunlight on cloud of metallic snow should create an awesome light display. Something that I’ve been able to find *zero* info on is the possibility of are aeolian caves on Venus. The devastating winds should carve the mountains like cheese – and aeolian caves are usually very beautiful (consider Wave Rock in WA as an example). If the entrances were plugged, these could be a delightful place colonise and then for tourists to visit several KMs above the surface. The things I think of is that Venus make a good hub of solar system- and obviously solar power. As hub, one can bring space rocks to Venus. We have quasi moons, a fair number, Venus might have quasi moon or two. And heating with twice amount sunlight should be easier. But as hub it is quicker to get to Mars from Venus as compared to from Earth, and you more launch windows [and different launch windows as compared to from Earth]. So this points to having artificial gravity space station in Venus orbit. So could sent people and stuff to Mars from Venus. And being able to make a wide variety of stuff at Venus, allows you make there rather shipping it first from Earth. So having space rocks or space junk at Venus orbit allows more stuff to be made. And of course don’t need to limit it to just Mars, it also faster to go to outer worlds from Venus. In terms if going to Venus atmosphere. First, of course it would help if you make things in Venus orbit to send to planet. Well what Venus has got a lot of it CO2, and even if mining, C type asteriods there could be shortage of Carbon. And our Moon has lots of iron and with carbon one gets steel. Venusian clouds are thick and are composed mainly (75-96%) of sulfuric acid droplets”, so the 75% concentration is less than half is water, and from pure acid get the sulfur, H, and O. So H2 and O2 used in Venus atmosphere and orbit. But sulfuric acid is valuable on Earth and would valuable else, so could ship the pure sulfuric acid elsewhere- Moon, Mars or wherever. But it seems you would want to do something about the gravity loss of leaving Venus atmosphere, so having the assist launch thing [floaters]. And generally speaking be using large rockets, things like Sea Dragons type chemical rocket, though it would a lot better with Orion nuclear rockets, to ship thing out of atmosphere. the cold layer detected at the terminator by the Venus Express is bound to do weird things to the dusk and dawn skies. *If* the physics engine in Kerbal accurately depicts the skies of planets (I couldn’t find any reference to atmospheric visibility) then the multiple youtube videos of flight on ‘eve’ would indicate a delightful purple sky. Agreed. Even if it turns out the main habitat has to be in the pea-soup region, tourist vessels could be part aircraft part airship, designed to go up to higher altitudes to see better sites if needs be. 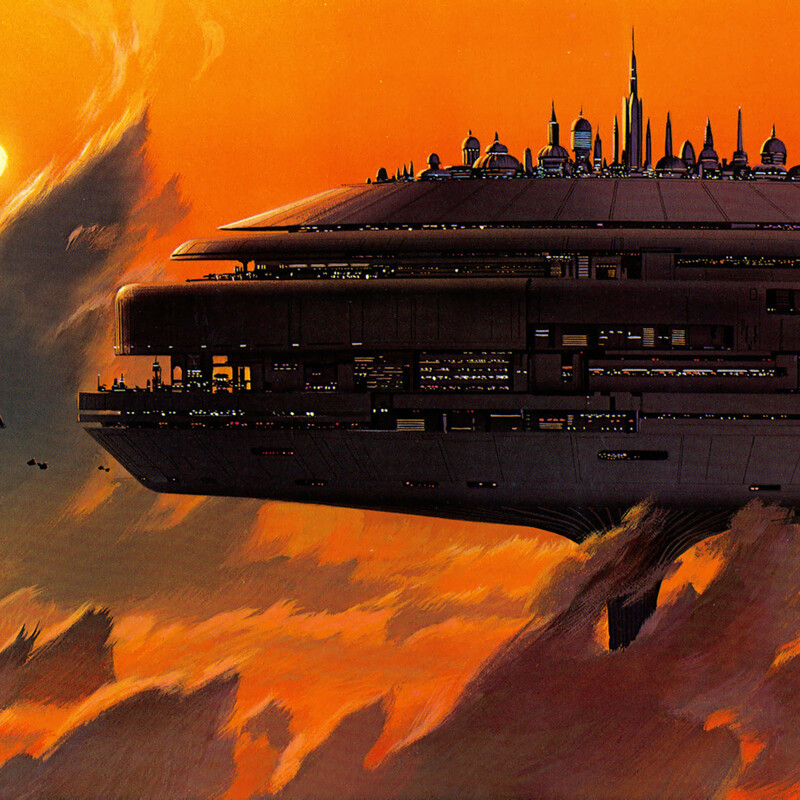 There’s a lot to be said for having your main city in a place where the external walls are not a pressure vessel, just a permeation barrier, but in theory you could also have your cloud city operate at a higher altitude where it was a pressure vessel just like you’d have on orbit, or on the Moon or Mars. But getting more data on conditions in those altitudes would be great. From what I could tell, the two balloons that Russia launched both were purely battery powered, and the one that didn’t die quickly lasted until its batteries ran out. So hopefully something solar powered and designed for long endurance could stay up there for a few years getting a ton of data and imagery. I’d be really surprised if it was visible from 50km up. That’s in the middle cloud layer, so, and there’s a lot of atmosphere and clouds between you and the mountain at that point. Now, it might be possible to have tourist balloons designed to go safely lower so you could see sights like that and then come back up to the habitable area, but I really doubt you could see the mountaintops from the middle of the cloud layer. I appreciate the recognition that settlement itself could be the business case especially retirement in which people who made their wealth in costing markets at other times and places bring that wealth to the space settlement. Retirees don’t need a business case based upon extracting resources. For example, residents of the Sun Cities don’t mine, manufacture, produce reality TV shows, nor invent IP. Yet the Sun Cities are develop, grow, and sustain themselves. Also, retirees don’t have childbearing or occupational responsibilities. the advantage of elderly people going is that any long term medical problem associated with leaving Earth are typically going to be avoided by dying of old age. Autopsies of the colonists will provide information on problems that these people will have acquired but not lived long enough to suffer from. This information will be of value, and so be a form of ‘unobtanium’ that the elderly could acquire, encouraging govts to assist such an enterprise. There are two obvious advantages of leaving Earth for the elderly are i) lower gravity will provide a new lease of life as it will be easier for a frail person to move and avoid injury, and ii) avoiding the majority of humanity provides near perfect quarantine, an important consideration as the immune system degrades. However, the nature of the elderly is that *current* launches will be far too stressful for them, even those who are healthy enough to consider a such a major move. Given the travel times, any serious travel will include educational facilities, focusing on learning the skills you’ll need to survive on Mars. Not having real time access to the internet etc is going to a major consideration to people in the future, so there’ll be an emphasis on people who have ‘switched off’ – not uncommon for the elderly. In answer to the woman’s suggestion, a penal colony in space is a really dumb idea as you are effectively rewarding criminals with an incredibly expensive experience that most citizens cannot experience – and rewarding criminals defeats the point of deterrence. Putting large numbers of criminals several light minutes away from the bulk of your police and armed forces is also asking for a rebellion. (The Castle Hill convict rebellion in NSW being a historical example of this problem). How about some microphones in addition to cameras? Since there is a real atmosphere with weather, there could be naturally occurring sounds as well, like thunder. If you are inside the Venusian atmosphere in a lightweight equipressured vessel, the sounds from the external atmosphere would travel through the walls to the indoor air, if they exist and are loud enough (like nearby ships’ engines for example). Tourists might be able to hear the thunder of another planet with their own ears, just sitting comfortably inside the buoyant station. A very strange thought that struck me was that Sulfur Hexafluoride could be used to fill craters on Mars/the Moon, to create an atmosphere open to the sky that bases could sit in. Sure enough, this has been considered: https://www.reddit.com/r/askscience/comments/18mwwe/would_earths_moon_be_able_to_hold_a_sulfur/ and the ‘only’ problem is the vast amounts needed. While actually covering the Moon is impractical, there may be an import market for the stuff to fill craters; and any industry on Venus is going to have far more sulfur than it can use., plus a supply of hydrogen fluoride. A very strange thought that struck me was that Sulfur Hexafluoride could be used to fill craters on Mars/the Moon, to create an atmosphere open to the sky that bases could sit in. Sure enough, this has been considered: https://www.reddit.com/r/askscience/comments/18mwwe/would_earths_moon_be_able_to_hold_a_sulfur/ and the ‘only’ problem is the vast amounts needed. So say crater with -50 C Sulfur Hexafluoride gas. So keep water at around 25 to 30 C [77 F to 86 F] which quite warm to swim in. Every 10 meter depth of water on Earth is 14.7 psi or 1 atm pressure. With Moon it’s about 1/6th the pressure and Mars is 1/3rd the pressure and you need about 2.5 psi to breath with pressure or space suit. And plants might about to grow at around 1 psi of pressure. So if keep about 10 feet under water you hold your breath or use scuba or air mask. And if have “greenhouses” under water, then could use light plastic to withstands the pressure to hold in them. So could have plants in them and swim under them and arrive at the greenhouse. And you live in buildings under the water. And have lots windows in such building- and building structure and windows would not need to strong pressure vessels, but would rather mostly be matter of being water tight buildings. Though in terms of “terraforming” with Mars, you have craters filled with water and not have a dome and if have a lots lakes it reduces amount of evaporation of the water. So lot of lakes is 1/2 of tropical zone of Mars- 25 north and south latitude or region which is about 40% of total surface of Mars- be lake water. Or starting with Mars settlements just one large lake and “deal” with having more evaporation loss. You would need a lot of water- billions of tones in terms early settlement and a trillion or so for 1/2 tropics covered. And it has to be fairly cheap water. But in terms of mass, just to double the atmosphere of Mars it’s adding 25 trillion tons, so water is far less tonnage involved than compared to trying to a significant amount atmosphere to Mars. Re: Sulphur Hexaflouride in a crater. The molar mass of SF₆ is 5 times Earth’s air, and the gravity on the moon is around 1/6th. So the height of a SF₆ atmosphere on the moon would have a height/pressure curve slightly higher (1.2x) than as on Earth. Since lunar craters are only a few km deep, no. On Mars, (ignoring temperature, since SF₆ is a strong greenhouse gas), you’ve got 5 times the molar mass at 0.38 times the gravity. So a SF₆ atmosphere on Mars scales at about half of Earth’s. Still too high for any real crater to hold in the gas. Eg, the top of the 7km deep Helles region would be the equivalent to 14km high on Earth. However it evaporates quickly even if it’s below boiling. Hence 20-25 at 1psi would be like 75-80℃ on Earth. And if have “greenhouses” under water, then could use light plastic to withstands the pressure to hold in them. On Mars, 1atm is the equivalent of 26m of water. At that depth you’re already losing light from the already dimmer Martian sun. Additionally, you’ve got a buoyancy force on any module/greenhouse at the bottom, so you’re not gaining any structural advantage. Say had cylinder 10 meters in diameter and 13 meter tall. And top of cylinder was 13 meter from the surface of water. And had cylinder filled with 1 atm. So walls of cylinder would maxium different of pressure at top [13 meters to surface] and near zero pressure difference at the bottom [26 meters from the surface]. But you had a huge amount of buoyancy. On earth it is massive and on Mars about 1/3 of massive. 78.54 square meters time 13 meter length is cubic meters of water one displaces. Much smaller than I thought, I thinking of 2″ or 3″ cable though you might use such size for a safety factor. Anyhow plastic can be pretty strong also. And walls of cylinder would be strong clear plastic and 1/4″ or 0.635 cm thick. Take square meter, chop 5 cm strip get 20 times .623 is 12.46 cm by 5 cm or 4.9 inches by 1.9 inches. So on earth 1/4″ thick plastic could be strong enough to handle the tension load from the buoyancy force. difference at the top. Though there is not any reason you having 1 atm, people Denver are living with 12 psi. But if 14.7 psi at the top, double the wall thickness and roof could be 1″ thick curved clear plastic. But that on Earth, with Mars be be 1/2 as thick. Let’s had some modification, have basement floor be slab of rock. And or basement could a swimming pool with cylinders which extend above swimming pool water level and you climb down them to get to the outside underwater. And let add story on top, and that could greenhouse and it has a lower air pressure. On earth the highest temperature water of a pond of water is about 80 C. With solar ponds one can get water temperatures of about 80 C about 1 meter below the surface, with the surface water at about 30 C.
Due to weaker sunlight at Mars distance, a solar pond with it’s salt gradient probably could only reach a temperature of 35 to 40 C, a meter below the surface and 10 to 20 C at the surface. A salt gradient solar pond on Earth is largely effected by wind and rain, and not much effected by cloudy weather in terms of water temperature about 1 meter below the surface, nor does nighttime affect the water 1 meter below the surface. Or without wind or rain the temperature remains about 80 C for months or years. though the surface temperature varies during the night. With solar pond on Mars in which one wanted around 35 C and cooler surface water temperature, it would need to have dome over it- the dome would prevent evaporation loss and allow higher surface temperature from boiling. And the dome should able to withstand 1 psi of pressure. And such a domed solar pond could extract pure water from salty water- the dome surface would have water condense upon it and one remove the freshwater. On Earth shallow solar ponds reach highest temperature- so solar pond 2 meter deep or less. If solar ponds are say 10 meters deep the maximum temperature under the water might around 50 to 60 C. And having a deeper solar pond on Mars should likewise lower have the maximum temperature or water below the surface. In terms of freshwater water it is most dense at about 4 C, and if surface water are warmer than 4 C, then cooled to 4 C they sink to bottom and when colder than 4 C they rise to surface [least dense water is close to freezing]. So if at higher latitudes on Earth- say, 40 degrees latitude or higher. And lake freeze over at winter, the deeper parts of lake probably water around 4 C and stay cold throughout the year. And if you at higher latitudes, you receive lower average amount of sunlight per year- and can receive less sunlight then Mars. Higher latitude on Mars, if point at the sun can receive more sunlight per year than higher latitudes on Earth. But higher latitude on Mars on level surface receive less sunlight than the tropics of Mars does on a level surface. And since talking about lakes, we talking about level surfaces. Or in terms of fixed solar panels in tropics you have them level to ground and in England you tilt more towards vertical [and face south]. So one will get more solar power on Mars than you get in England- anywhere on Mars. And Mars lakes in tropics will receive much more sunlight than lakes in England- though solar ponds don’t work very well in England due to it’s high latitude. Now England is warmed by Gulf Stream and has much higher average temperature due to this warming effect- but just saying it’s piss poor to terms of harvesting solar energy unless near summer- then it’s a poor place- if solar panels are pointed towards the sun. Hope no one minds my using this site as an educational tool! 1) the surface air pressure needs a similar, slightly lower pressure directly above to avoid expansion – and the air above needs a similar layer, etc etc until you are near enough to vaccum as no matter. 2) since the gravity of the Moon is lower, the upper atmosphere cannot provide as much pressure, so the rate at which air pressure can drop decreases, requiring a deeper atmosphere to achieve the same surface pressure. (Or have I got this completely back to front? Seems likely given what you’ve said about Mars). 3) the figures are such that filling a several mile deep canyon will not achieve a lot. Now, as I understand it, the atmosphere of Mars falls between 2 stools – thick enough to prevent the rocket braking landings you would use on the Moon, but thin enough that you cannot aerobrake the way you would on Earth, nor do any serious manned flight(although some unmanned craft may be possible). Would flooding a canyon be similarly annoying; or would it literally achieve nothing; or would it actually allow a decent fixed wing landing? Thanks for tolerating my ignorance. Roughly I would say the technical side of it is, can we leave earth cheaply. Or if have technology to leave earth cheaply, then we leave Venus cheaply. And leaving Venus cheaply is main technical problem. Using floater for an assist launch is a modest improvement regarding problem of leaving Venus cheaply. A vast improvement would be making Orion nuclear spacecraft, and one can’t politically use Orion nuclear spacecraft in regards to leaving Earth cheaply. So having Orion nuclear spacecraft would allow leaving Venus cheaply at same time leaving Earth is still rather expensive [more than $100 per kg to LEO from the earth surface]. The main advantage of the Moon is cheap launch cost to high Earth orbit. And low cost from lunar surface to anywhere, including [or especially] Venus orbit. But most important aspect regarding the Moon is increase the “global space market” and the Moon does not need Earth launch cost to be lowered. Or if Earth launch was 10 times current cost, it does affect the idea of using the Moon. In sense it provide more necessity to using the Moon, though lowering earth launch cost the easier to use the Moon. What needed to use the moon and thereby increase the size of “global space market” is exploration of the lunar polar region to determine where and if there is minable water- water which can commercially extracted without needing some kind subsidy [like solar or wind governmental subsidies]. Though forbidding a government to buy lunar rocket fuel is not what I mean by a subsidy- government can buy if they deem it cheaper or “better” to buy it [just like government can and do buy any commercial product]. And if lunar water is commercially mined- government probably should consider the idea of having some lunar bases on the Moon. And governments around the world will probably also consider doing this. But NASA should quickly explore the small regions at lunar poles, then it stop exploring the Moon and start exploring Mars. And during the decades of time of exploring first the Moon and then Mars, NASA should consider some exploration of Venus. Though it’s possible private interests or other nations might explore Venus also or before NASA does. Venus is very easy to get to and in many ways cheaper than exploring Mars. I think it is Lando, though I also imagine there is lots variation, depending elevation and latitude. And changing weather. Though depending where you are, you could or might be stuck in vast region of pea soup or no visibility. Or in terms of exploration within the atmosphere, one should have high degree of mobility and ability to get a fairly high elevation. But I agree that in terms of tourism the visual effect is important. And also the sound effects are important. People would need to see and hear it- and with proper measures taken, feel the intensity of sunlight- or something like going into a sauna. And it seems sounds at the terminator of Venus should be a main attraction.